We’ve all heard the digs at our Southern compatriots: Amabala – the backward state. 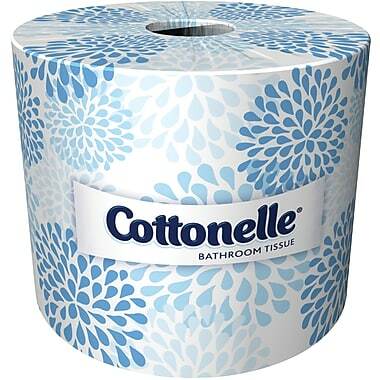 Passing a roll of Cottonelle to the state which dares to defend its rights (and wrongs). I know it’s not polite when Easterners rib Southerners about their “backward” culture. But it’s also not polite for Southerners to (very nearly) send the likes of Roy Moore to the Senate, where he might have voted on issues affecting the lives of everyone in the country. Moore’s proximity to the Senate understandably causes a rift in civility. The late Andy Kaufman was, in part, a comedian. He was also a combination merry prankster and provocateur specializing in the politically incorrect. He craved intense interaction with a crowd, and stand-up comedy seemingly wasn’t doing it for him at a latter stage of his career. So he decided to become a pro wrestler. As a wrestler, he adopted various bad guy personas, and reveled in the hatred he could generate by (for example) wrestling women, and claiming to be the Inter-Gender Wrestling Champion of the World. In this persona, he would act like the consummate male chauvinist pig, taunting women that he was so superior to them, and they could never beat him (though occasionally they did). Kaufman seemed determined to tear away at any thin veneer of civility which existed between Southerners and Easterners, and to provoke a response of sheer hatred. He knew the stereotypes of Southerners that Southerners hated, and his routine entailed baiting them crudely and mercilessly until he was finally pounded by Lawler (to the crowd’s delight). Kaufman would bait Southerners live in the ring, or in pre-recorded TV segments meant to drum up publicity for matches. He gave the crowd their money’s worth. They loved to hate him, and loved it when Lawler would finally use the “Piledriver” (his patented move) to finish Kaufman off. If it looked like Lawler had broken Kaufman’s neck, so much the better. What was the abuse that Kaufman heaped on Southerners that made them want to see Jerry Lawler break his neck? It was all theatre or a strange kind of comedy, but you wonder who was or wasn’t in on the joke. Anyway, if Amabala had sent us Roy Moore, what could one do but pass them a roll of Cottonelle, possibly with an instruction manual using pictographs only? Let’s hope the Old South is truly dead and buried (or at least resting comfortably), and that the election of Doug Jones is a harbinger of the New South marching in the general vicinity of the twenty-first century!